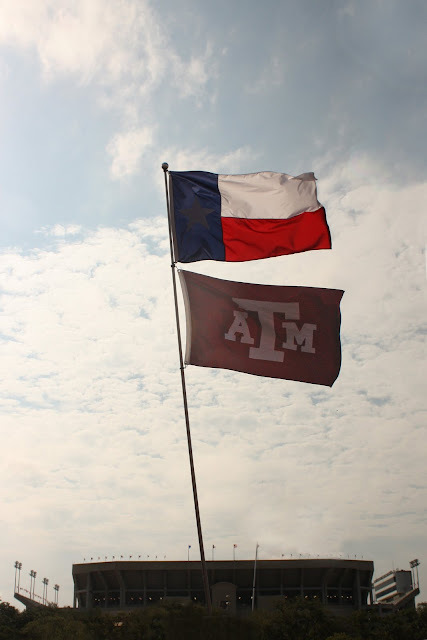 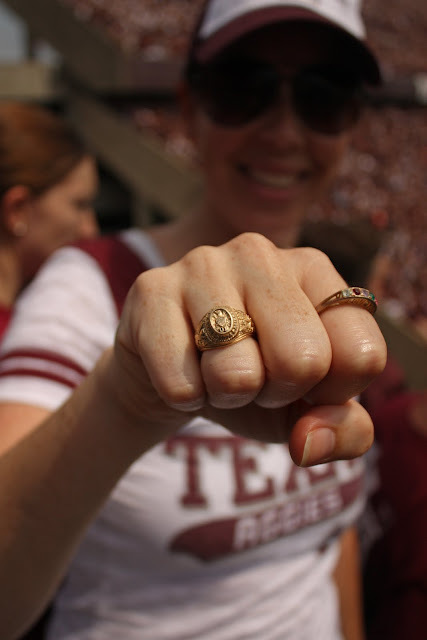 James and I got to attend the home opener Aggie game last weekend! 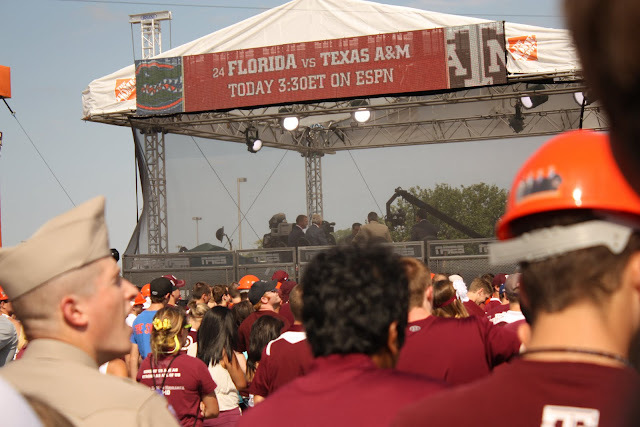 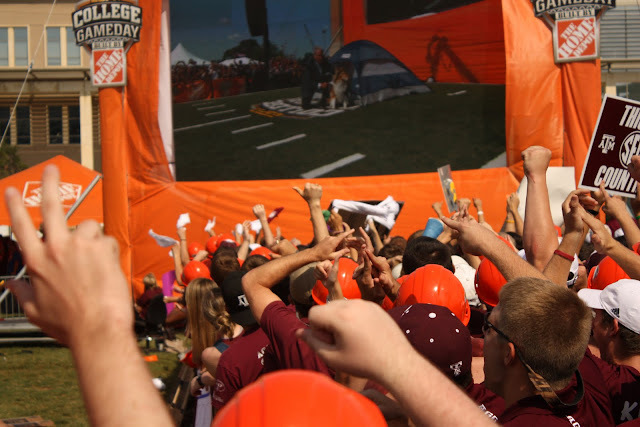 It was the first game being in the SEC, and it was fun because ESPN College GameDay was there! 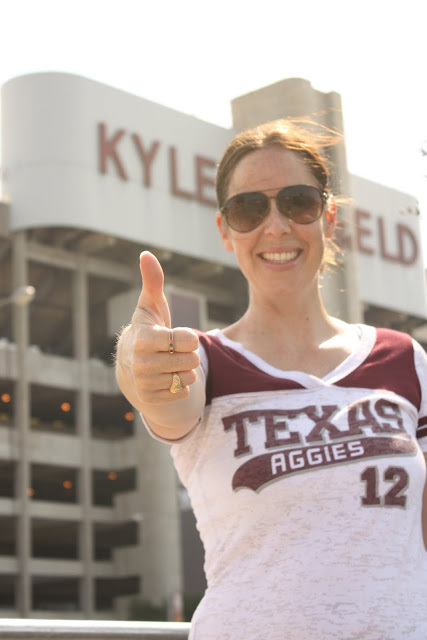 Although we lost to Florida, it was a GREAT first half and just being in Kyle Field is electric! 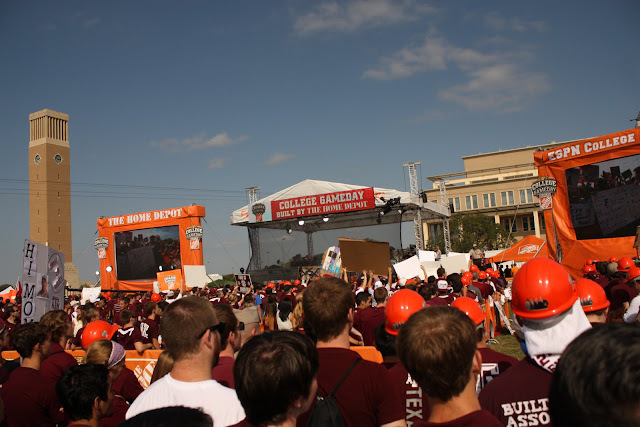 Can you see the College GameDay guys filming? 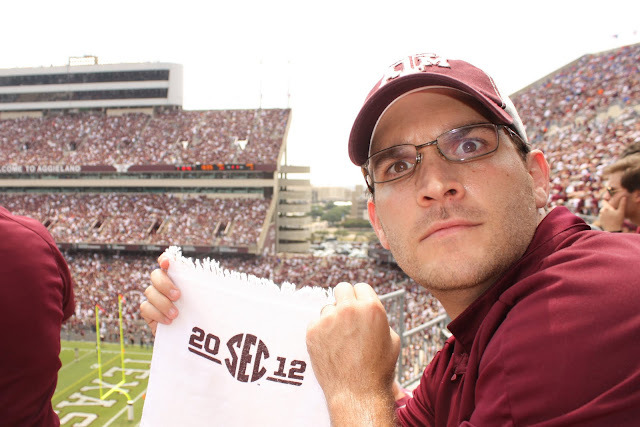 He picked A&M to win! 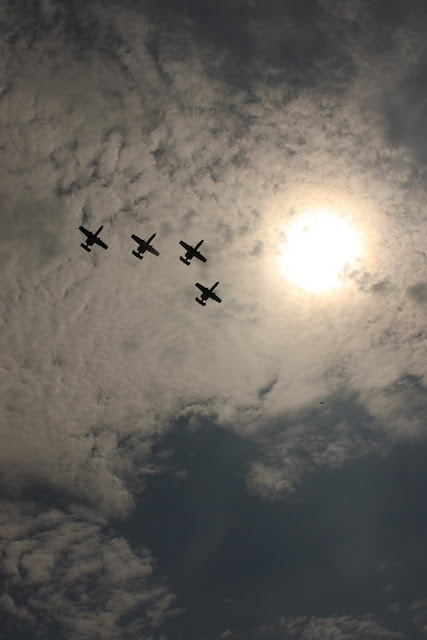 Before the game, we always have fighter jets flying overhead! 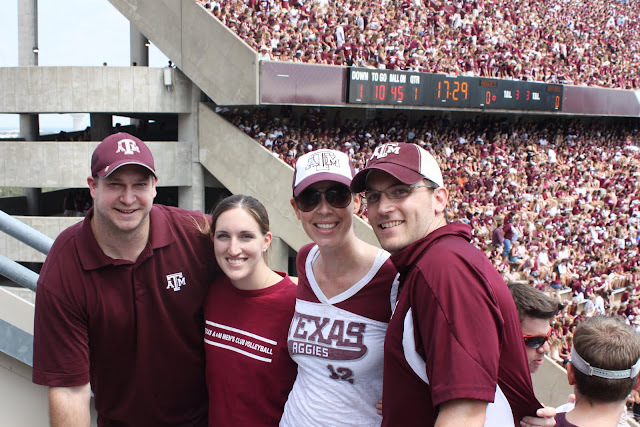 my brother, my sister in law, me, and James!